No Hulk is complete without big hands to SMASH with! 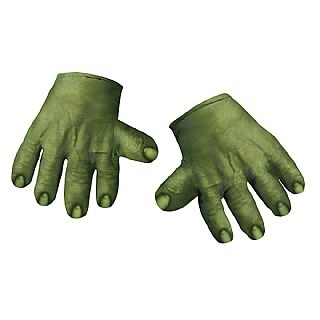 Get your hands on these soft Child Hulk Hands and complete your little Avenger's costume for Halloween. One size fits most children. Girl's American Dream Costume Child Retro Captain America Costume Child Hulk Muscle Costume Child Captain America Shield - 12"